Yum! Brands, the parent company of Taco Bell, KFC and Pizza Hut, insists it is cleaning up the company’s supply chain in order to serve healthful food that is both humanely sourced and includes fewer artificial ingredients. But according to some activists, the Louisville, Kentucky-based company has not gone far enough. To that end, the shareholder activist group As You Sow filed a shareholder resolution this week urging the company to phase out the use of antibiotics from all of its meat and poultry products. Citing Centers for Disease Control and Prevention (CDC) data that suggests 2 million Americans are stricken with illnesses from antibiotic-resistant bacteria, As You Sow is asking Yum! Brands to extend its antibiotics policy beyond the current chicken menu items. 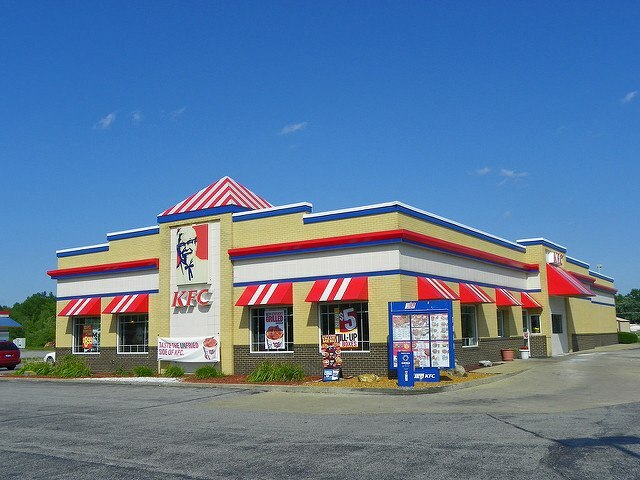 Taco Bell and KFC are now in the process of removing chicken treated with antibiotics from some of their products. Yum! also claims it has long been proactive on the “well-being of animals” with its role in forming the Animal Welfare Advisory Council in 2003. As You Sow, however, is imploring Yum! Brands to make zero-antibiotics a company-wide policy in the interest of public health. Yum! Brands’ competitors, along with major suppliers, have been moving away from meat products sourced from producers that treat animals with antibiotics. Last year, both Wendy’s and McDonald’s announced that they would transition away from chicken treated with such drugs. Chick-fil-A announced two years ago that it would shift to 100 percent antibiotic-free chicken by 2019. On the supplier side, also Tyson Foods and Costco made commitments to eliminate antibiotics from their chicken products. Meanwhile, more burger chains including In-N-Out are seeking beef free of these drugs. In recent years, consumers have gravitated to food chains with strict antibiotic policies, such as Panera Bread and Chipotle, out of concern for animal welfare and the impact these drugs could have on public health in the long term. And As You Sow makes clear in its resolution that the trend could put Yum! Brands at risk of losing market share as more fickle consumers spurn fast food chains in favor of what they perceive as more healthful alternatives. The reality, however, is that the entire value chain within the restaurant industry needs to reform itself if this reality is going to happen. As You Sow points to tiny Denmark’s pork industry, which is a global leader in both production and sustainable animal husbandry practices, as an example of how an industry can wean itself off the crutch of antibiotics and run operations that are humane and sustainable. As of press time, Yum! Brands has not responded to the resolution. For now, the company stuck to posting written policies for each of its restaurant chains on its website. The odds are high that any response will not come until the company’s annual proxy statement comes out. And if history is a gauge, the company’s board will recommend a “no” vote on As You Sow’s resolution, with shareholders voting overwhelmingly in kind. But recent events suggest a sizable number of “yes” votes can nudge a company to change its ways. And if Yum Brands! sincerely wants to gain consumers’ trust and bolster its brand reputation, it could take a lesson from Suncor Energy and urge its shareholders to check the "yes" box. Earlier this year, the Canadian producer of synthetic crude from oil sands not only recommended that its shareholders to vote “yes” on a climate change resolution, but also hosted a webinar for large investors explaining why they should do so. That stance will long be an exemplar on how words expressing corporate responsibility and a commitment to corporate governance are backed on action. Yum! Brands could help revolutionize the food industry and invigorate its business by doing the same.